TwitRocker2: Easier. Faster. More Powerful. The world’s first twitter client supporting sync timelines via iCloud!! Sync different. TwitRocker2 for iPhone is a full-featured iPhone Twitter client for the next generation. The simple, powerful and flexible user interface makes it very easy for you to operate for a lot of twitter tasks. 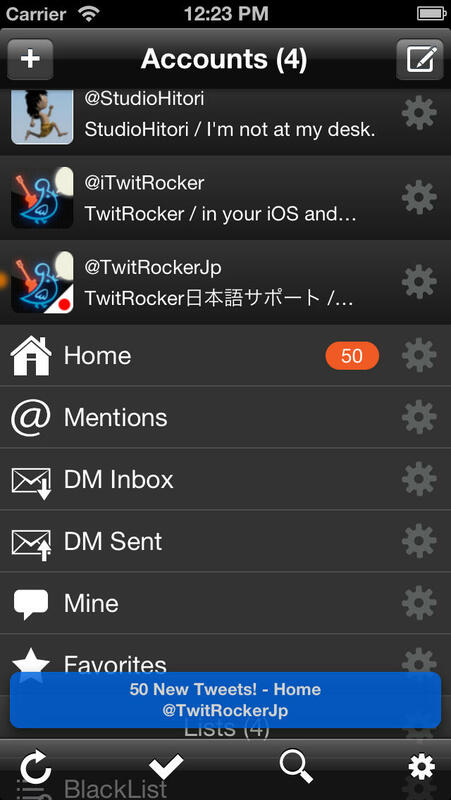 TwitRocker1 for iPad ver.1.0 was released on the same day when iPad1 was released in the United States. TwitRocker2 was made from scratch to be more easy to use and more powerful. ◆ Visibility setting and automatically refresh setting are available per Timeline. ◆ Thumbnail including Instagram. t.co links will be expand automatically. ◆ Multiple tweets selection to reply multiple users at the same time. ◆ Quick move to the timeline via local new tweets notifications. ◆ Quick move to home via the top bar anytime. ◆ Support for services both Read It Later and Instapaper. Includes button icon materials by Joseph Wain, Dat Nguyen and www.theworkinggroup.ca. Includes codes by Matt Legend Gemmell.